Goalpost Pictures, WestEnd Films and director Unjoo Moon’s Helen Reddy biopic I Am Woman has wound up shooting in Los Angeles. Reddy, Moon and Tilda Cobham-Hervey, who plays the Australian singer, were at the G’Day USA function in LA when Reddy was awarded a lifetime achievement. “The emotional connection that Helen gave to women in her song is my core reason for making this film,” said South Korean born and Australian raised Moon, who is now based in Los Angeles. “Helen is a woman who against all adversity was determined to make her dream come true. It is produced by Goalpost Pictures founding partner Rosemary Blight whose credits include The Sapphires, TV series Cleverman and the upcoming Top End Wedding. The women’s movement in the ‘70s found an anthem in the Reddy song, which topped the US charts and made Reddy the first Australian to win a Grammy and host her own variety TV show. Its message has again resounded with the #metoo movement. It was co-written by Reddy and Australian singer-songwriter Ray Burton. UK distributor WestEnd acquired I Am Woman under its WeLove banner, which is specifically for female-specific content, and aims to promote female talent. The movie also secured a “substantial investment” from Bauer Media, publisher of The Australian Women’s Weekly. It is Bauer’s first investment in a feature film as part of its commitment to drive a more equal Female Future, and the first of movies about inspirational Australian women. Its research showed readers were keen to know about Reddy. The Melbourne-born singer arrived in 1966 in New York with a three-year-old daughter, a suitcase, cash of $230, and with the faint possibility of a record deal. However, the label executive said he had enough female singers on his roster, and suggested Reddy instead have a holiday in the city and then return to Australia. Reddy decided to stay on and sing, helped along by influential journalist Lillian Roxon. Roxon was an Australian journalist based in the Big Apple where she moved with the music and film A-lists. She went on to publish the first ever rock encyclopaedia before succumbing to an asthma attack. 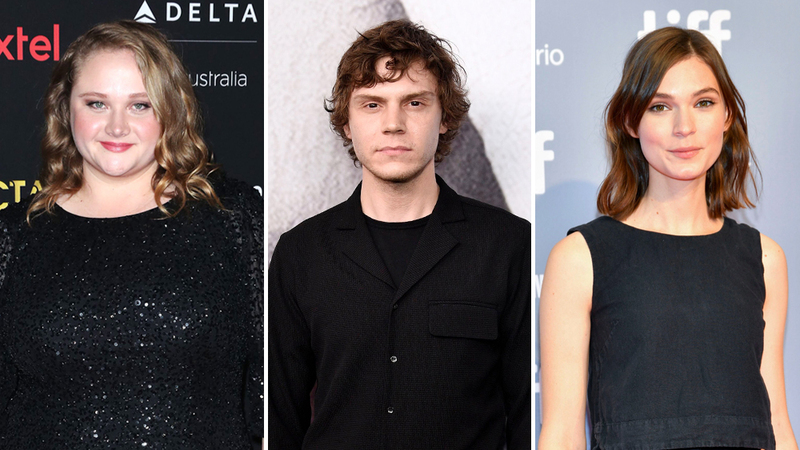 Roxon will be played Danielle Macdonald, while Evan Peters portrays Jeff Wald, Reddy’s former manager and husband. WestEnd Films has also found a North American distributor for Kylie Minogue & Guy Pearce comedy ‘Swinging Safari. Blue Fox Entertainment will release the movie, originally titled Flammable Children, midway through this year.